Crystal Exchange America is an online store with reputable Swarovski dealers featuring retired and discontinued Swarovski. They have been online for over 15 years. 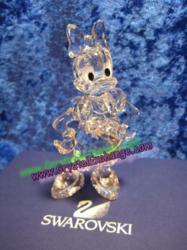 Recently, a collection of mostly Swarovski Disney and Arribas figurines arrived on consignment, ready for quick sales. We feel that best way to market and sell the Swarovski Disney and Arribas collection figurines will be the online auctions, giving the figurines the most visibility to both the Swarovski-collecting and Disney-collecting audiences. 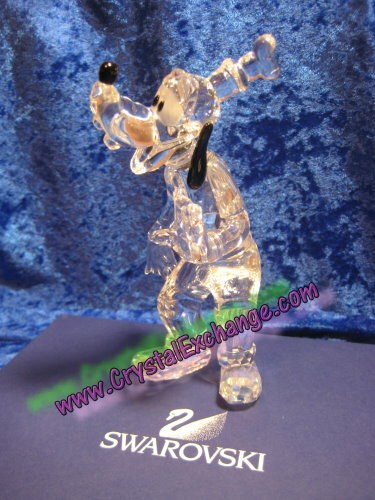 Crystal Exchange America is excited about the new Swarovski Disney crystal figurines and Arribas figurines adorned with crystal stones available at their firm. While the Swarovski Disney figurines are not difficult to find on the internet, they are some of the more popular figurines since they are collected by both Swarovski fanatics and Disney fanatics alike. 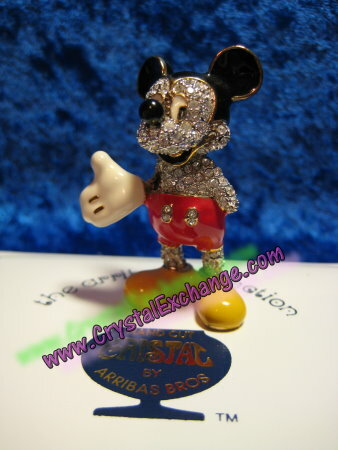 Crystal Exchange America has posted the Swarovki Disney figurines in their online store, where they are selling quickly. The Disney Showcase figurines were the initial figurines in the Swarovski Disney collaboration. Some Swarovski collectors still prefer these Showcase figurines vs the current colored figurines because they were clear in color, so they remain favored by some crystal fanatics. 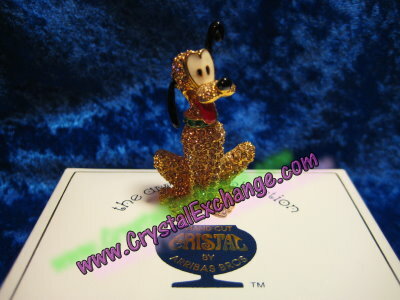 Crystal Exchange America felt that the online auctions (ebay.com) would be the best way to market and sell the Disney Arribas collection figurines and paperweights, giving them the most visibility to both the Swarovski-collecting and Disney-collecting audiences. The more exposure these figurines have, the higher the selling prices, yielding the greatest prices to the collection owners. Enthusiasts interested to bid on Disney figurines / paperweights or Jeweled Arribas Disney characters Crystal Exchange America selling Swarovski with an Ebay userid that is identical to their store website: www .crystalexchange.com (no spaces in the userid). Crystal Exchange America continues to post Swarovski news and informational articles about Swarovski figurines on their blog the Kristall Buzz. The Kristall Buzz also features Swarovski club announcements, new crystal figurine introductions, and additional buzz about the Swarovski brand. Since the launch of the KristallBuzz.com, nearly 400 Swarovski articles have been posted. Crystal Exchange America remains a proud sponsor of RetiredSwarovski.com, a website for Swarovski retirements. This site has a vast collection of information about retired and discontinued Swarovski crystal, as well as announcements about planned Swarovski retirements. For Swarovski crystal owners looking to buy or sell Swarovski, collectors can learn more about Crystal Exchange America at CrystalExchange.com . Crystal Exchange America has over 15 years of experience and assists collectors adding crystal to their Swarovski collection as well as helping those who want to liquidate Swarovski crystal collections or sell only a part of them. Crystal Exchange America, a retired Swarovski dealer, specializes in discontinued and retired Swarovski crystal. Crystal Exchange America is not affiliated with, endorsed, or sponsored by Swarovski. Crystal Exchange America is an independent company providing a specialist service to collectors of Swarovski Crystal and Swarovski Silver Crystal.